This is the 11th summer of Max's life. 11 summers since we took him home from the NICU after his stroke, so anxious about his future. 11 summers of being warmed by his sunny smile. 11 summers of seeing him eating ice-cream, drinking lemonade, splashing in the pool, going on kiddie rides and enjoying the seasonal pleasures, just like any kid. 11 summers of thinking he looks so handsome in a navy polo and khaki shorts. 11 summers of being wowed by his accomplishments, even the small ones a Big Deal. 11 summers of watching him roll down our street—first in a walker, now on a bike—and never once taking it for granted. 11 summers of thinking that the season makes him grow super-fast. 11 summers of sitting with him on the front porch at dusk, mesmerized by fireflies and just loving being alive. 11 summers of gratitude that he is proving the doomsaying doctors in the NICU wrong. Today, I'm also thinking about kids who need a shot at reaching milestones—and living life. Every 20 seconds, a child dies from a vaccine-preventable disease. Every year, 1.5 million children die of diseases that could have been prevented by a vaccine. Some moms walk up to 15 miles just to get their children vaccines. Some moms don't have access to them. This post is inspired by Shot@Life, an initiative of The United Nations Foundation that educates, connects and empowers the championing of vaccines as one of the most cost-effective ways to save the lives of children in the world's most hard-to-reach places. 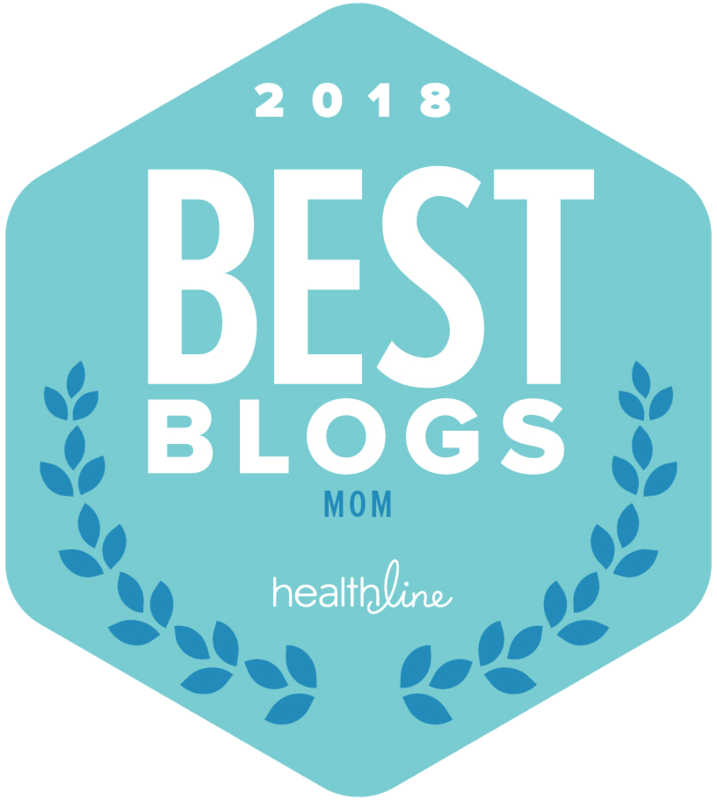 Throughout August, 31 bloggers are participating in Shot@Life's Blogust, writing every day about moments that matter and raising awareness about vaccines. For each comment on this post and the 30 other posts, Walgreens will donate a vaccine (up to 50,000 vaccines). That's right, ALL YOU HAVE TO DO IS COMMENT AND A CHILD WILL GET A VACCINE. It can be as short as "Glad to help!" It can be longer. As they say, size doesn't matter. We can change the reality of children dying from preventable diseases. We can help save lives with a few pecks of the keyboard. So please, for the love of children, leave a comment. 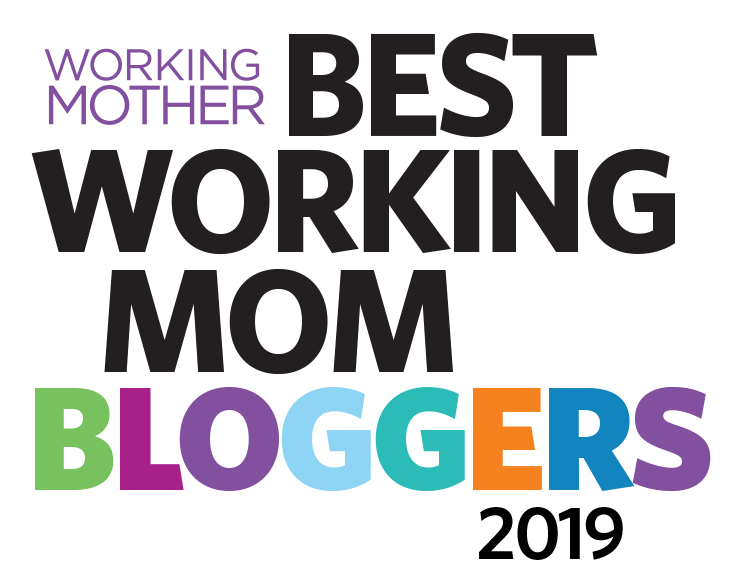 Sign up here for a daily email so you can quickly and easily comment and share every day during Blogust! Stay connected with Shot@Life at shotatlife.org, join the campaign on Facebook and follow them on Twitter. Hi! Hope it's okay for me to share a thought about this (because I understand where you're coming from). 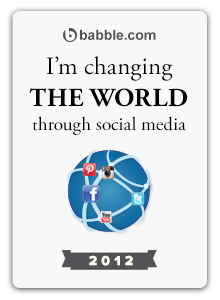 I am involved in a really cool app/site called Charity Miles. For every mile I run, they donate $0.25 to a cause such as Autism Speaks (or, ahem Shot @ Life!). My 6 miles yesterday resulted in $1.50 to Autism Speaks. It would definitely have been easier to give $1.50 :-). But I think there is power in getting us talking, in the sharing / awareness that come from the activity on social media that is generated by shares of posts like this, etc. Does that power outweigh the expense that is gone to to create a site, the staff that is paid to run it, etc.? I guess it's not for me to say. But I keep participating which I guess is my way of saying "I hope so" (and I "meet" in a social media way the coolest people through initiatives like this!). I appreciate your candor. Awareness is a huge part of these campaigns too, while of course the money is important a lot of international development work isn't all about financial aid, it's about changing our perspectives and thinking about other people in other parts of the world and the struggles they face and then changing how we live here. Will they make a donation if a Canadian living in Canada comments? All kids deserve access to vaccines! That Max is pretty special! And obviously so is his whole family! Great post, and a great cause. How can we not comment? Thank you for the great post and for introducing me to Max! Thank you Walgreens and Shot@Life for this amazing opportunity to make a tangible difference in the life of a child! Because of the way herd immunity works, one vaccine can, in theory, save far more than one child. The important thing is to vaccinate as many kids as possible. Thanks, Walgreens, for doing your part. Thank you for mentioning "herd immunity," which is what protects the kids whose parents don't believe in vaccines. Unfortunately, it seems that more and more parents are choosing NOT to immunize, and as a result, easily-preventable childhood diseases are making a comeback. Measles and pertussis are already showing up; polio and other truly devastating illnesses can't be far behind. Today's parents haven't seen these illnesses and have no idea how terrible they can be. All they've heard are bogus reports that vaccines cause autism and other falsehoods. I've not seen many of these diseases, either, but I've taken care of patients who were affected by polio, for example, and their paralysis was real and lasting and clearly due to a preventable infection. How sad to think that our children may be in more danger than we were from preventable diseases, because of bad press and lack of trust in science. Way to go Max and WalGreens. Both making this world a better place to be! 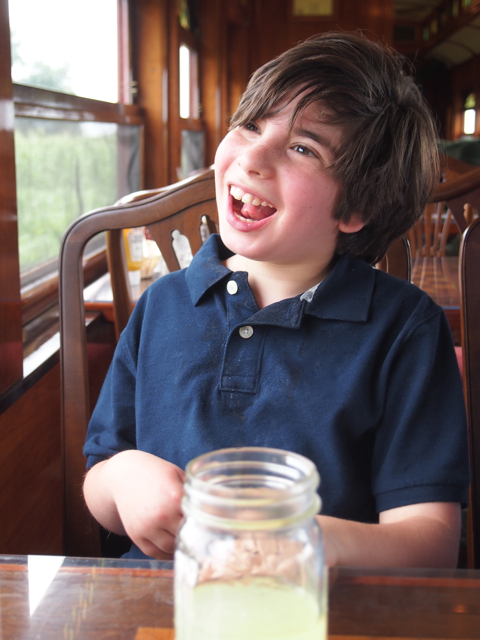 Thank you for sharing Max's 11 wonderful summers and being part of the vaccine campaign. A wonderful child. Thank you. Love that Max...and his great mom! Happy to help save lives- and help to flip the myth that Vaccines are harmful. Thanks for making it so easy to help. I am glad your child survived and came home, and that you had what sounds like wonderful years with him. I like your style of writing...and sounds like Max is an amazing kid. To all our amazing kids and to their parents who understand that a shot at life comes in many different efforts - two of which are a tremendous amount of love and life-saving vaccines. Thanks Walgreens! soon to be 11 awesome autumns! This is worth the "unlurking!" I appreciate you sharing Max's story!! I love his smile and I appreciate your sharing your writing about him for Shot @ Life! I am happy to help as well! And lovely summer celebration of Max's wonderful life. Efforts are appreciative, but as above noted comments, all good, JUST DO IT... NOW. This is a cause. Awesome as always!! Let's make this 50,000 vaccines donated and given!! Love this perspective into Max's 11 years...my favorite: 11 summers of watching him roll down our street—first in a walker, now on a bike—and never once taking it for granted. Great post! Great cause! We, too, take nothing for granted over here! We are thankful for our children's gift of perspective! We are grateful that vaccines are freely available, and that many childhood illnesses are not so prevalent now that children can be vaccinated. I am happy to help those in less fortunate countries to have access to vaccination, but am concerned at growing numbers (at least in Australia) who choose not to vaccinate their children for one reason or another, as the potential for the return of some diseases is very high. I look forward to your daily posts about Max! Here's to many more than 11 more summers! Great post. Thanks for sharing! Love blogust. Here's a comment! Happy to help! I am so happy the doctors were proved wrong in their predictions. Never say never because human beings are resilient and can miraculously overcome health obstacles. All the best...and many more summers! Love Max!!! Glad to help!! You CAN have more summers, Max! God bless! I can see why Max is such an outstanding young man who'll I'm sure will continue to prove those docs in the NICU wrong as he's grows into an adult! And I agree with you Max! You do look very handsome in your navy polo shirt! Thank you for a great article and a great young man! And thanks to you too Walgreens for what you're doing! Every day children with cp in orphanages and institutions around the world languish and die. They have no hope. They have such potential in homes with families that love them. We are adopting a boy with cp right now. Here are a few more that need out asap. I am so appreciative of the voice you give us mothers and the work you do. Thanks did keeping us all strong. Don't normally comment but might as well! Thank you Walgreen's for supporting this worthy campaign. I remember well the pain of the early days of being clueless about the future -as well as the day at work I got an email from home telling my son had started to crawl. I'm glad to read and glad to comment. Fantastic that you've been able to have 11 wonderful years with him. Way to go, Max! Keep soakin' up summer! I can relate to the walker-in-the-driveway. The Kaye walker has been replaced by running legs. Take nothing for granted. Thank you for helping children worldwide with vaccines. Thank you for sharing! Your post made me smile and so did the picture of Max! To 11 summers of having fun! Though for me it seems entirely wrong to be reading about summer given the fact my kids start school tomorrow! Glad to post--and Walgreens should know that their publicity stunt is working and making a difference! He sounds very lucky to have the support and love you give him. And you sound lucky to be able to watch him grow and experience life. think the best docs love to see their patients do better than expected but I also think they want to help parents stay grounded in reality, tough job that. What an inspiring story! Max has such a nice smile! Shot@Life is such an amazing cause! I always appreciate what you have to say, Ellen, and really appreciate that you're part of Blogust! I love your blog. The feelings you express as a mom are heartfelt and universal. Bless you and your family and thank you for being so optimistic and grateful. In this fast paced materialistic world that we live in many don't realize how important these vaccines are for our children and we often take them for granted Many don't realize how other mothers, who don't have access to basic healthcare just want the same chance for their children to live long and healthy lives and how much just a vaccine can make that more of a reality. Thank you for your post and for taking part in this campaign. So very much with you on never taking our boys' accomplishments for granted. And on wanting to protect kids from vaccine-preventable disease! Thanks for writing this, and being part of such a wonderful campaign. Ellen, So glad to help. Thank you for continally giving. What an inspiring post!! Max, I am so proud of you and all the wonderful milestone you have accomplished!!! Keep that wonderful smile and keep on working toward your goals!! I know you will accomplish what you set out to do. A very inspiring post. Thanks for telling Max story. What a beautiful post. Glad to help! Glad to help and glad my kids are vaccinated. Thanks! I am happy you have had 11 wonderful summers with your boy and that you are helping make vaccines available to others, but I WILL NO LONGER vaccinate my son! The effects that we have had to live with for the last 12 years are too much to chance that one more could completely close the door to my little mans brain! Good for you and those that advocate for healthy options, but this is not one I can whole heartedly back anymore! 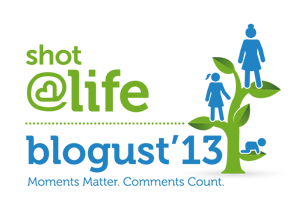 Vaccines save lives, so commenting throughout shot@life's blogust saves lives too! 1 comment = 1 vaccine = 1 child's life and future secured! = a better world. True: glad to help and glad to meet your wonderful Max! It is shocking when we realize how much we take for granted. Life is a precious blessing. Every moment is precious for each of us and especially you and Max. Continued blessings for many more summers. It is wonderful that you have each other, maybe a page like this will help another realize just how special her child is as well as help children get needed vaccines. Every child needs this vaccine...do your part to see that it is done. And educate ALl parents about the importance of vaccinations. So loved your post!!! Here's to more wonderful summers with your wonderful boy. Blessings to Max, you and your family - may God give you many more summers with your precious son. Expecting first grandchild, hoping for health and no complications Thanks for your post. Looking forward to the years ahead. Here's to many more summers of fun and growth! Hats off to Ellen and Walgreens for championing Shot@Life's great cause! vaccines are so incredibly important! i am glad to see someone trying to help moms keep their babies safe. All the parents writing for Shot@Life are awesome! That's really awesome! Go Walgreen's! First I love that picture! Second I love your post! Shot@Life is a great campaign ! Another comment for another vaccine. Thanks, Walgreens! Thank you for doing this -- and may you have many more elevenses of joy with Max! Here's to saving another child's life! Great Post! Keep doing what you do!!! Taking my four year old for his check up and immunizations tomorrow. So thankful that for modern medicine. I'm happy to comment for such a good cause and I will try to remember to come back daily. 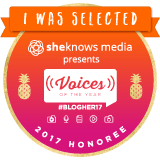 Thanks to all you BlogHers for making this happen. Oh, may every child-- and every adult!-- receive the traction to climb as high as he or she can in her or his proper direction. What a sweet post! I cannot get enough of all these milestones. I love that I have to scroll down so far to comment. Lives saved! Thank you. I love reading your blog Ellen! Happy to help and happy to have found this blog. I absolutely enjoyed reading this blog Entry!!! Yes! Vaccines! Those are good! Thank you for sharing Max's story! Bless you for sharing the joy your family is experiencing. For a child in need! Great post to give perspective and gratitude. Lovely child and a lovely cause. Good luck! Thanks for sharing about this amazing cause!! Ellen, your post is so beautiful! Happy 11th summer to you, Max and the whole family!!!!!!! I love commenting here and getting to support Shot@Life with you! I love this Ellen. Thank you for participating and sharing this with us for the greater good. What a great way to help. Thanks Ellen. Awesome, God Bless this cause ! Here's to many more summers, Max! Thanks for helping get vaccines to children who need them, Ellen! 11 beautiful years-- well captured! Love Max's smile and love helping to vaccinate children. What a beautiful way to do your post! I love it!